The GDIA has been in operation for over 25 years, running events and meetings for the benefit of the membership. 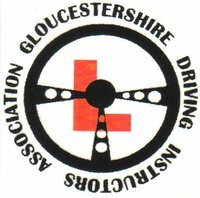 To ensure that your voice is heard at a national level, Gloucestershire Driving Instructors' Association is affiliated to The Approved Driving Instructors' National Joint Council (ADINJC). We meet through the year, usually at the Churchdown Club (off Church Road), and sometimes at the Skill Zone presentation theatre at Tuffley, Gloucester. The current annual membership fee is £10, payable at any meeting.